The total value of homes in the Los Angeles area is $2.7 trillion, which is roughly the size of the economy in the United Kingdom. The total value of all homes in the U.S. reached a record $31.8 trillion in 2017, or more than one-and-a-half times the nation's gross domestic product. According to an analysis by Zillow, the nation's housing market surged in value by 6.5 percent over 2016, when values added up to $29.85 trillion. 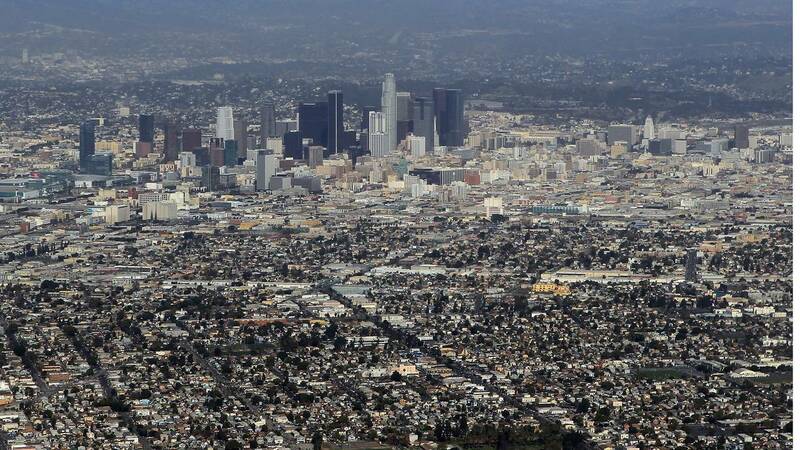 Homes in the Los Angeles metro area are worth $2.7 trillion, roughly the size of the UK economy, according to Zillow. At $2.6 trillion, New York's housing market is equal to the size of the economy of France. The largest increase in total home values among the 35 largest metro areas was in Columbus, Ohio, which grew more than 15 percent to $152.3 billion in 2017. The median value of a home in the U.S. in November was $205,100. That's almost 7 percent more than a year ago. Inventory -- the number of homes for sale -- is largely to blame. Nationally, inventory in November was down 10.5 from a year ago. In San Jose, California, for example, where home values grew by 17.4 percent, the largest year-over-year increase, there were almost 55 percent fewer homes on the market in November 2017 compared to the previous year. Meanwhile, renters in U.S. broke spending records in 2017. Renters paid a total of $485.6 billion last year, an increase of $4.9 billion from 2016. Rents in the U.S. are at historical highs, consuming a larger share of renters incomes than ever before. The median rental unit in the U.S. eats up more than 29 percent of the median monthly income of renters, about 3.3 percent more than in 2000. The difference is far greater in some areas. In San Jose, for instance, renters spend 38.4 percent of their incomes on rent, which means they are paying an average $13,525 more on rent than a decade ago.